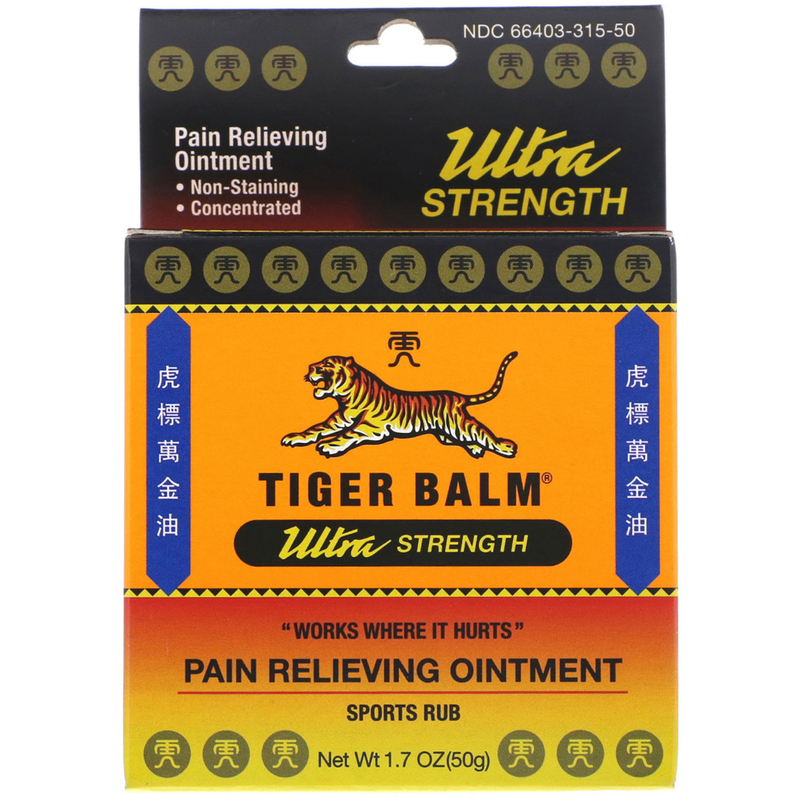 Tiger Balm has been used for nearly 100 years and sold throughout the world. 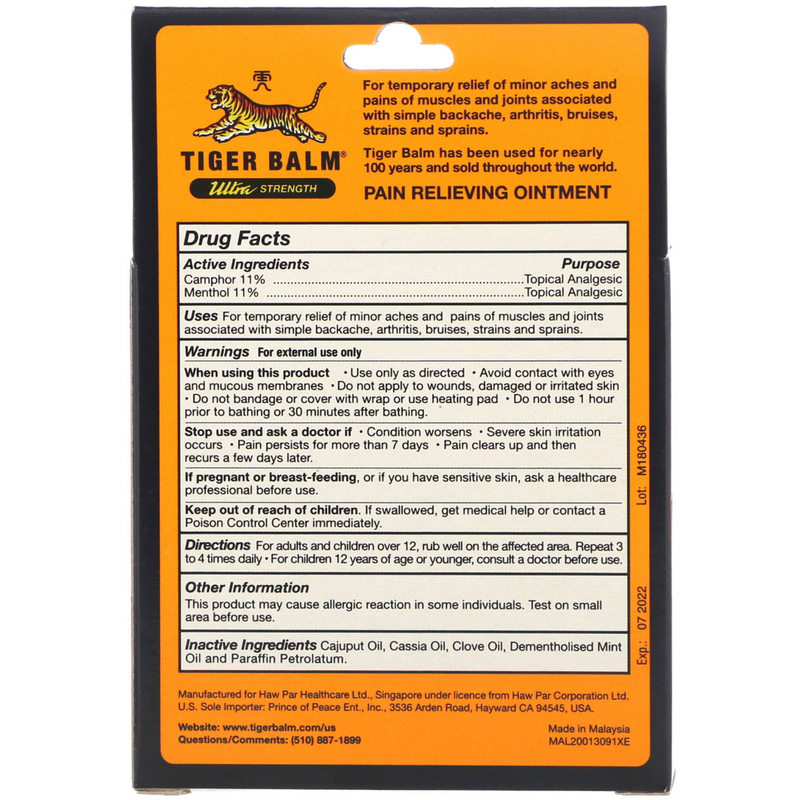 Uses - For temporary relief of minor aches and pains of muscles and joints associated with simple backache, arthritis, bruises, strains and sprains. For children 12 years of age or younger, consult a doctor before use. Inactive Ingredients Cajuput oil, cassia oil, clove oil, dementholised mint oil and paraffin petrolatum. Do not use 1 hour prior to bathing or 30 minutes after bathing. Pain clears up and then recurs a few days later. If pregnant or breast-feeding, or if you have sensitive skin, ask a healthcare professional before use. This product may cause allergic reaction in some individuals. Test on small area before use.